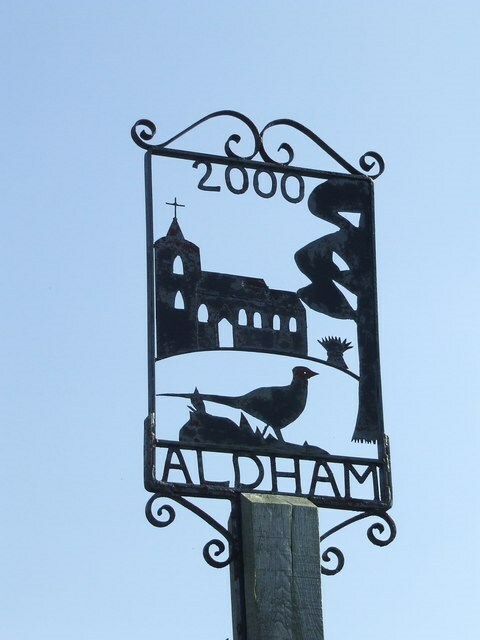 Aldham is a village and civil parish in the Babergh district of Suffolk, England. Located around 8 miles (13 km) west of Ipswich, in 2005 it had a population of 200, reducing to 175 at the 2011 Census. According to Eilert Ekwall the meaning of the village name is Ealda's meadow/enclosure or old meadow/enclosure. The village was mentioned in the Domesday Book at which time it had a population of 16. On 1555 Aldham Common was the location for the matyrdom of the English Protestant Rowland Taylor during the Marian Persecutions.